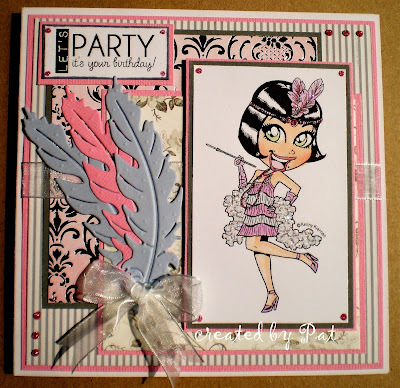 Fabulous image and colouring, beautiful colour choice...the feathers are the perfect embellishment, a brilliant card Pat! Fabulous card Pat, gorgeous colours, love those feathers. Fantastic card, Pat. I love the big feathers replicating those on the image - fab colour combo too. Hope you're having a good weekend. This is a pretty card Pat, such a fun image and lovely colours. Yes "Dahling" - it is time to party! Love the layout and your coloring is fantastic! I love this Kenny K image, have it myself, you have just reminded me it is time I used it again. Super card, great design and fabulous colouring. Thank you for joining out 'Celebration' challenge this week at Allsorts. A super stylish creation for our celebratory theme Pat and love your Flapper, many thanks for joining us at Allsorts challenge this week. 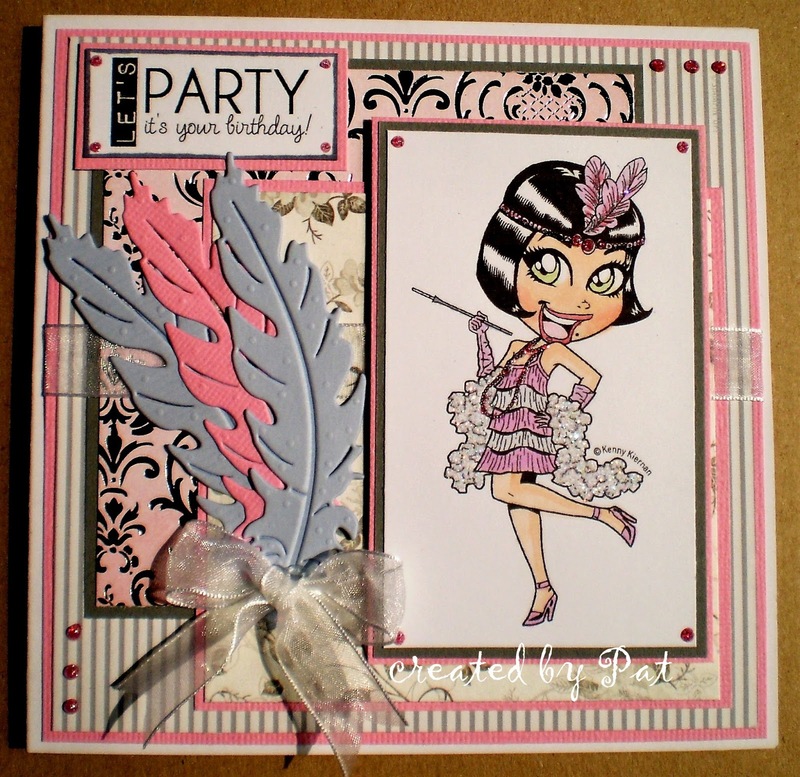 Love the way you tied the feathers that your flapper is wearing to the die cut feathers. Very clever! Thanks for joining us at Really Reasonable Ribbon for the Pink and/or Red Challenge! Happy Valentine's Day! Hello… Thanks for sharing your card with us at Crafty Friends Challenge Blog… your card is lovely and fits perfectly with our 'Girly' challenge theme… hope you can join us next time and good luck in the draw. This is fab, Pat! The Flapper is such a fun image, coloured so beautifully - especially her shiny hair! This is awesome, Pat. You're SO creative and talented and I thank you for sharing this with us.